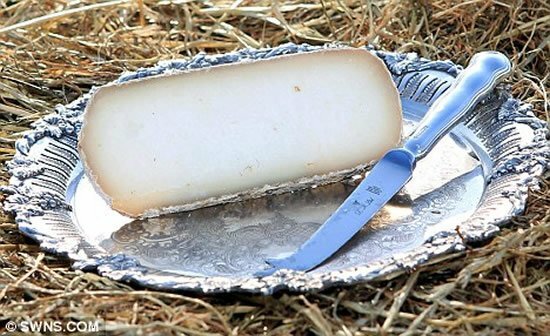 If cheese is what you like, and money is what you have, then we suggest trying out the cheese platter being offered in Somerset at the Frome Cheese and Agricultural Show. And it comes with a surprise, a $1,270 per kilo donkey cheese called Pule that comes from Serbian donkeys. The cheese on the platter costs $1,340 and with the $960 solid silver cheese platter, $190 hand crafter wooden cheese board and a $710 solid silver knife, be ready to shell out $3,200 for the entire platter. Along with the Pule, the platter includes Wyke Farms Vintage Cheddar laced with gold leaves and white French truffle that costs a little over $400 for a kilogram (1.6 lbs.). 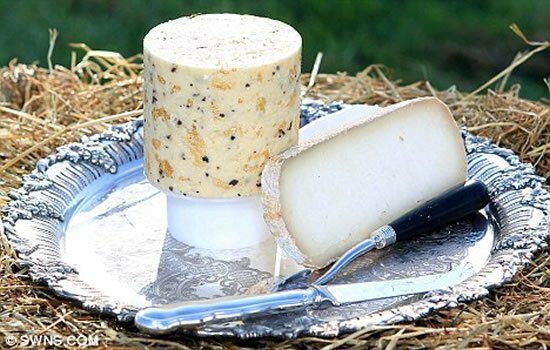 Along with Reblochon, Golden Cross Goats Cheese, Banon Goats Cheese, Brie, Abbaye de Belloc, Bosworth Goats Cheese the platter is truly a showcase for the art of cheese making. And if you thought donkey cheese was something that would initiate you to try some of the most obscure cheese in the world, then next year the show plans to feature cheese from camel, horse and moose.